Back in June, the website turned six years old. Today we’re here again as the longest running Final Fantasy XIV podcast does the same. First airing on August 18, 2009, Aetheryte Radio started off as a podcast about every little piece of information that was coming out about a game that wouldn’t be out for another year. This didn’t apply to just Aetheryte Radio either as our former website incarnation, Eorzeapedia, was also dedicated to finding out every little thing there was to know about FFXIV. From getting translations of Japanese interviews, to translating guildleve UI screens from Gamescom, we made sure that we were at the forefront of information for the (soon-to-be) player community. 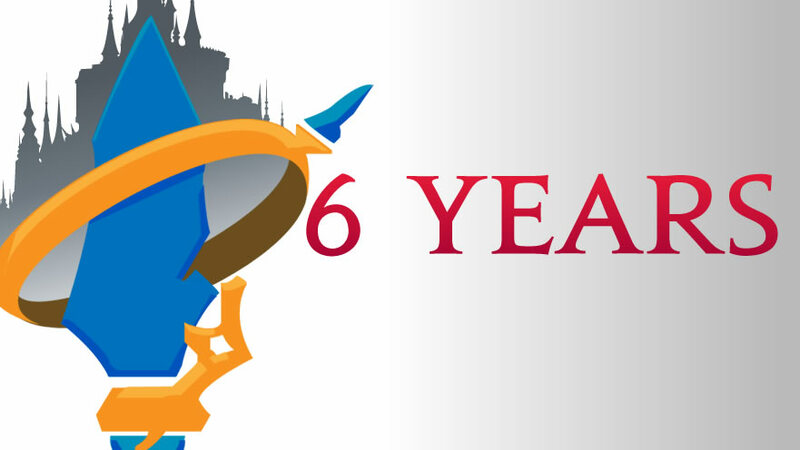 Six years later and we’re still here with eighty episodes under our belt, all talking about the latest news, community developments, the most recent discoveries and speculation in lore, and our exclusive interviews with important figures such as Naoki Yoshida, Michael-Christopher Koji Fox and even the voice behind Thancred, Taliesin Jaffe. Many websites and podcasts dedicated to covering Final Fantasy XIV have come and gone over the years and we can’t tell you enough how much we appreciate the continued feedback and support we get for Aetheryte Radio. Whether it’s a comment, tweet, iTunes review, or even a tell sent in game, each one of you is the reason we do this and we cannot thank you enough. We look forward to continuing our coverage of Final Fantasy XIV and being part of such a wonderful community!